“If any countries have delusions of using small actions to interfere with or even obstruct the Chinese side’s reasonable, fair and legal activities on its own territory, then I must urge those countries to abandon those fantasies as soon as possible.” – MFA spokesman Lu Kang, October 27, 2015 (click to view video on CCTV). The US early this morning (Beijing time) finally followed through with its plan to patrol within 12nm of at least one of the PRC’s artificial islands, and China has just announced the developments to the whole country via CCTV’s 7pm news broadcast. The 7pm news program Xinwen Lianbo 新闻联播 is both the most-watched and most tightly-controlled news broadcast in the country. Whatever appears there can reliably be understood to be there for primarily political reasons, rather than due to professional media “news values” or sensationalism. What makes Xinwen Lianbo a unique source of insight compared with other media carrying authoritative content, such as the People’s Daily or Liberation Army Daily, is that while the official press’s readership is mostly limited to elites and the attentive public, Xinwen Lianbo is watched by perhaps 50 to 100 million or more ordinary people. In short, it carries the Party Line to the masses. 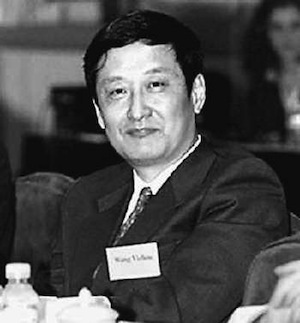 Although Xinwen Lianbo’s presentation style has evolved slightly in the 2000s, content-wise the bulletins are still dominated by detailed narrations of the top leaders’ meetings with international dignitaries and each other, updates on the ever-successful rollout of party policies and campaigns, paeans to model citizens and, last of all, a few general news reports, usually very brief. Foreign affairs controversies like the South China Sea dispute are rarely mentioned — when they are, it is usually in the context of leaders’ anodyne remarks about appropriately handling differences and jointly upholding stability in meetings with their counterparts from rival claimant states, most commonly Vietnam. Mentions of specific developments in disputed areas are rarer still — even when they cast the party in a positive light from a hardline nationalist perspective. To take one topical example, China’s massive island-building activities began in early 2014 and were widely reported in foreign media from around June last year, but they only received their first mention on Xinwen Lianbo on June 16 this year. Evidently, the leadership normally prefers to handle these issues without encouraging scrutiny from the broad masses. This is why it is meaningful when contentious developments and confrontational rhetoric, such as that surrounding the US patrols, rate a mention. CCTV host: Today, the US warship Lassen, without permission from the Chinese government, illegally entered waters adjacent to China’s relevant islands and reefs in the Spratly archipelago. Regarding this, China expressed strong dissatisfaction and resolute opposition, and urged the American side to immediately rectify its mistakes. CCTV voiceover: Chinese Foreign Minister Wang Yi, when asked during the China-Japan-Korea symposium today, advised the US side to think thrice before acting, and not be rash or make trouble. In this afternoon’s daily press briefing, MFA spokesperson Lu Kang reiterated, China has indisputable sovereignty over the Spratly Islands and their nearby waters. Lu Kang: If any countries have delusions of using small actions to interfere with or even obstruct the Chinese side’s reasonable, fair and legal activities on its own territory, then I must urge those countries to abandon those fantasies as soon as possible. CCTV voiceover: Lu Kang said the Chinese side has always respected and defended the freedom of navigation and overflight enjoyed by every country in the South China Sea under international law, but firmly opposes any country harming China’s sovereignty and security interests in the name of [Freedom of Navigation]. Lu Kang: The Chinese side resolutely defends its own territorial sovereignty, security and its legitimate and reasonable maritime rights and interests. China will firmly respond to any country’s deliberate provocation. We will continue to closely monitor the situation in the air and on the water, and adopt all necessary measures as needed. CCTV voiceover: Lu Kang said the Chinese side strongly urges the American side to earnestly take heed of the Chinese side’s solemn representations, immediately correct its mistakes, not engage in any dangerous and provocative behaviour that threatens China’s sovereignty and security interests, and strictly abide by its commitments not to take a position on sovereignty disputes, in order to avoid further damaging Sino-American relations and regional peace and stability. A Xinwen Lianbo report like this not only directly announces the party line to a massive audience, it also legitimizes other media to focus on the issue. As far as i can tell, this must reflect the propaganda authorities’ understanding that the party leadership wants the issue near the top of the broad public’s agenda, at least in the short term. If this assumption is sound (and please let me know if you disagree), the next question is why. I’ve been watching the Chinese media treatment of the issue over the past 2-3 weeks, and will try to put together something more comprehensive together when we see how this plays out, but for now i’ll just try to point out a few features of the CCTV report’s content. 1. The CCP has chosen to make this an issue of sovereignty. Graham Webster noted recently in the US-China Week newsletter, China has carefully maintained ambiguity regarding its claims around the Spratly Islands and reefs. 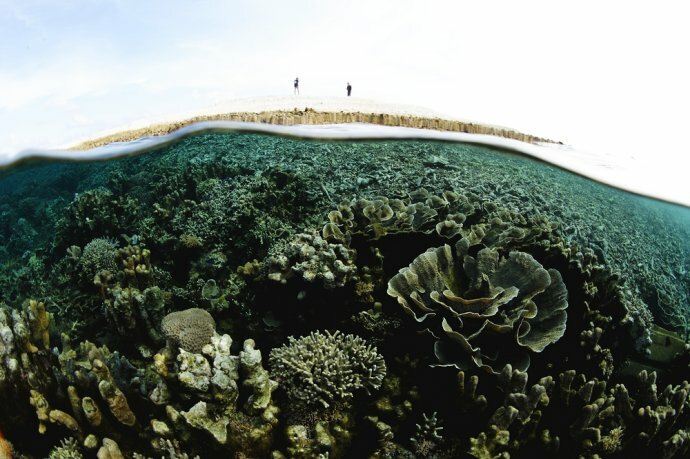 In particular, it has not explicitly stated which reefs it considers to be surrounded by 12nm territorial seas 领海. That deliberate ambiguity is continuing, as reflected in the term “adjacent waters 邻近海域” in the PRC statements today (see above). Subi Reef, where the US Navy patrolled today, is almost certainly not entitled to a (sovereign) territorial sea under international law, and as i argued in East Asia Forum last month, this actually makes the patrols less provocative than they might otherwise be. But five mentions of “sovereignty” in CCTV’s 100-second report makes clear that the PRC wants domestic discussion of the issue to be on these terms. The MFA spokesman mentioned “security interests,” “maritime rights and interests,” “provocation” and “dangerous behaviour” — the CCTV report could have focused on any of these complaints, but instead repeatedly emphasized “sovereignty,” a choice that is likely to capture everyday people’s attention and potentially inspire nationalist mobilization. 2. The lines about some countries’ “delusions” about obstructing China’s Spratly construction projects will allow the CCP to depict itself as bravely defying foreign pressure as it moves forward. The line appears to be primarily domestically oriented, given that it is missing from the MFA’s account of Lu Kang’s remarks on the topic. It sets up a kind of straw-man idea that the patrols are aimed at forcing China to stop its construction work on the artificial islands. Pushing this line to domestic audiences makes good sense, because it will frame any future updates about new Chinese facilities in the Spratlys as shows of unwavering determination in the face of US pressure. 3. The high-handed demand that the American side “correct its mistakes” leaves the CCP well positioned to claim that its stern response forced an aggressive hegemon to back down. At least one US official has described the patrols as “routine“, suggesting there will be more to come. Even if the US patrols happen, say, once a month from now on, it will be up to the CCP to decide how often Chinese mass audiences hear about this. Having established a high level of domestic publicity on this occasion, the CCP might well be able to (implicitly or explicitly) encourage the perception that it forced the US to back down, simply by not affording the same level of publicity to future FoN patrols. I’d love to hear readers’ thoughts on what China going public like this means, so please leave a comment or get in touch. Peking University Professor Wang Yizhou, one of China’s top foreign policy scholars, did an interview for the excellent new Carnegie-Tsinghua podcast last month (Part 1 and Part 2), covering a very broad sweep of China’s emerging foreign policy, regional strategy, territorial disputes, global role, and bilateral relations with the US. His main points are noted below, starting with regional strategy and China’s maritime territorial disputes. I’ve just done this as an exercise to try to better grasp the significance of what Wang says; for most people it’s probably better to just go listen to the podcast. The italicized blockquote bits are a mix of direct quotes and paraphrasing. “Evacuate all Chinese people from Japan”: warning shots in the East China Sea, or just media war? 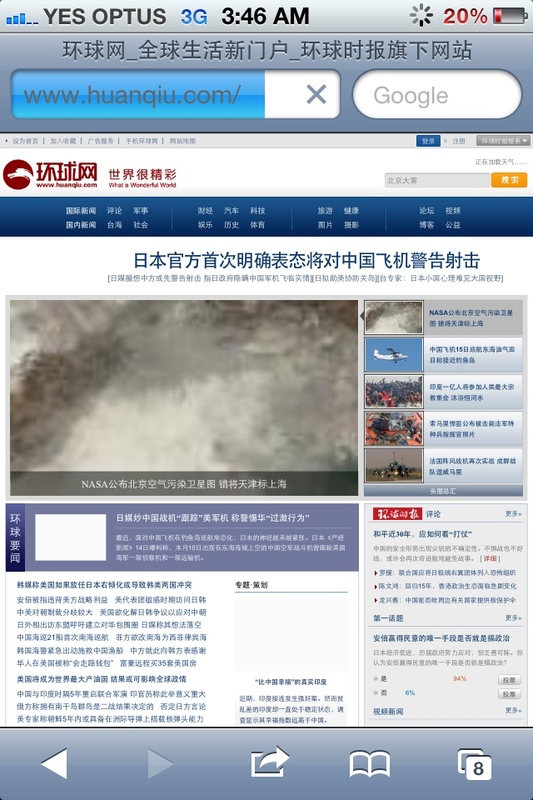 On Tuesday afternoon the Chinese online media, led by Huanqiu Wang (Global Times Net), started reporting, “Japan official explicitly states for first time that warning shots will be fired at Chinese planes“. 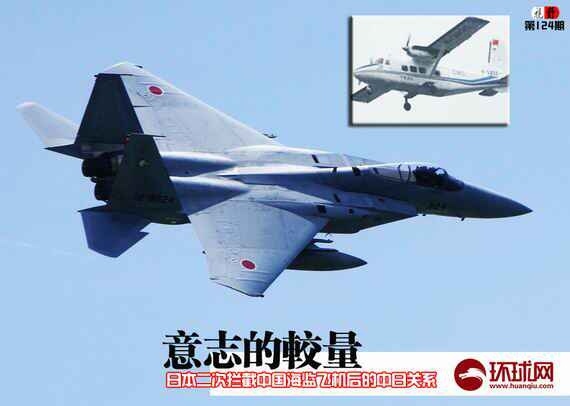 HQW’s reporter Wang Huan 王欢 quoted the Asahi Shimbun website quoting Defense Minister Onodera, when asked about warning shots, replying that “any country would make this response if its airspace was intruded upon”. Onodera’s comment may well have been coaxed out of him by reporters looking for a juicy headline, as it comes across as a contradiction of Chief Cabinet Secretary Yoshihide Suga’s comment last week as reported by CNS (the other Xinhua) as reported by CNS that there were no plans for firing warning shots. According to the Chinese internet media headlines that have relayed the story, Suga “denied” 否认 plans to fire warning shots, but now Onodera has “explicitly confirmed” 明确表态 that they will occur. Whether Onodera’s statement has been reported accurately or not, the result is that the Diaoyu ball game now rests with the PRC, and the party-state is playing on a big-time court with a packed house looking on.